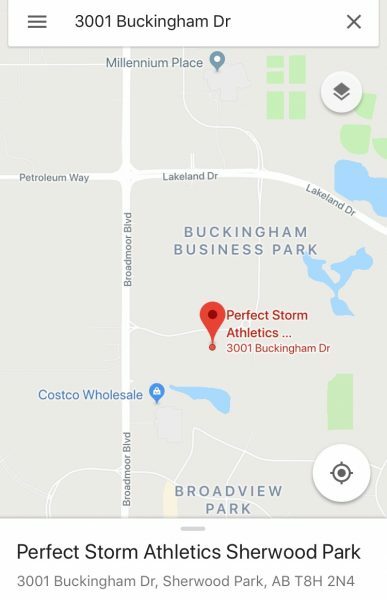 Perfect Storm Athletics is located in Sherwood Park at #105, 3001 Buckingham Drive. We are just off the Yellowhead at Broadmoor Blvd (east on Buckingham Drive) and just north of Costco. Click here for a Google map for directions to our gym.